Faced with a partial government shutdown, Rutgers students made last minute adjustments to an alternative break trip to Joshua Tree National Park. Sometimes the signs of a flat tire are subtle. Maybe there’s a weird noise or an unusual vibration. Perhaps the steering is off or you realize that your vehicle is slowing down for no reason. Then there’s the obvious, like the sight of a mustard plant root lodged in the rubber. For Woods and fellow Rutgers student Matt Civile, it was just the latest in a series of hiccups the duo navigated as part of their roles as site leaders for this past January’s Rutgers University Alternative Break (RUAB) to Joshua Tree National Park in Southern California. Charged with planning a service-learning trip with a dozen other students, Woods and Civile knew there would be challenges, especially with a proposed site over 2,600 miles from campus. What they didn’t expect was a 35-day partial government shutdown that would scuttle their plans. Sponsored by the Department of Leadership and Experiential Learning, the alternative break program provides undergraduates with a semester-long experience centered on community service. Through RUAB, participants learn about a particular issue within the United States during five weeks of pre-trip meetings. Come winter or spring break, they embark on a volunteer excursion that allows students to explore the culture and history of the area they’ve studied, while assisting local organizations in providing necessary services. No stranger to RUAB, Woods’ first experience with the program came the year prior on a trip to Wheeling, West Virginia with a group looking at hunger, homelessness, and urban farming. Meanwhile, Civile participated in a trip to Chesapeake Bay to learn about environmental issues facing the region. Assigned to serve together as site leaders, Woods and Civile began planning for last month’s alternative break in the summer of 2018. Originally wanting to center a program around mental health, reproductive rights, or HIV/AIDS prevention, the pair instead found themselves drawn to the idea of visiting a national park to assist with conservation. Initially unable to identify a destination through the National Parks Service headquarters, Woods and Civile reached out to local parks, but all those within driving distance of New Jersey were closed for the winter. Turning their attention west, Woods and Civile then made contact with Death Valley National Park. 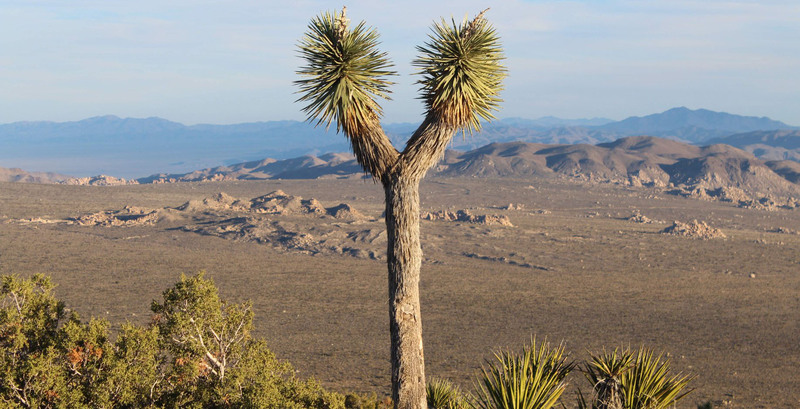 While they didn’t have any programs that aligned with RUAB’s service-oriented focus, they did know of a nearby park that might: Joshua Tree. Dealing directly with both park representatives and leadership and experiential learning department staff, Woods and Civile began working on the trip’s logistics, from transportation and housing to hammering out the group’s service and learning opportunities. By the beginning of the fall semester, their plans were all but set. Then on midnight, December 22, 2018, the shutdown began, impacting nine of 15 federal departments, including the Department of the Interior which oversees the National Parks Service. At first, neither Woods or Civile were fazed. But as the days turned to weeks they began to grow concerned. Shortly after the new year, Civile finally heard from their contact at Joshua Tree. Parks staff wouldn’t be able to come into work, nor would they be allowed to check their government email. 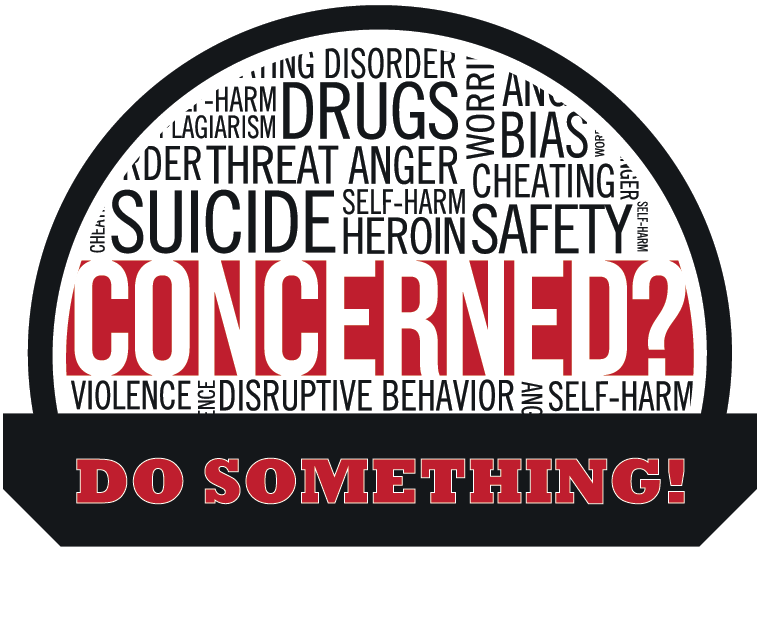 While they were still willing to help the group in some way, they needed to figure out a new schedule. 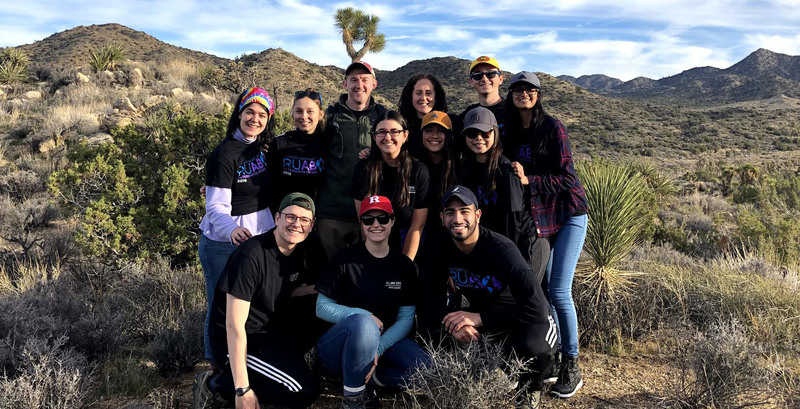 Through the Joshua Tree staff, connections were made with professors from the University of California–Riverside (UCR), ensuring the group could participate in on-going research. Next, Civile and Woods reached out to a local nonprofit, The Wildlands Conservancy (TWC), to broker an arrangement that allowed RUAB to volunteer at the Pioneertown Mountains Preserve. 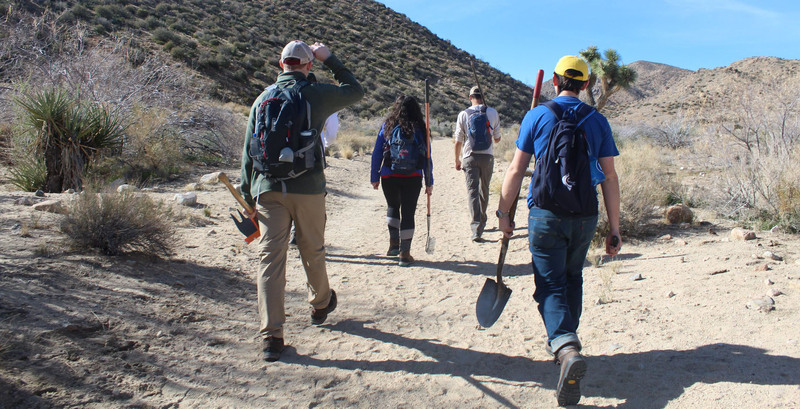 Arriving on January 6, RUAB spent two days with UCR researchers, taking measurements, making observations, and collecting data as part of a climate change study examining the health, growth, and bloom of vegetation along Joshua Tree’s hiking paths. Committing two additional days to conservancy efforts at Pioneertown Mountains Preserve, Woods and Civile assisted in trail recovery and invasive species removal. Moving natural barriers to level or straighten paths for hikers, the group also buried dead plants upside down. Doing so allowed roots sharp enough to pop a tire to act as a deterrent to off-roading, a common problem and threat to the preserve’s landscape and delicate micro-ecosystem. Replacing structured lectures and talks from full-time Joshua Tree staff with informal conversations and interactions with researchers, volunteers, and conservationists, Woods and Civile ensured RUAB participants received a complete service-learning experience, even if it wasn’t what they’d originally planned. For more information on the Rutgers University Alternative Breaks, please visit: leadership.rutgers.edu/alternative-breaks.